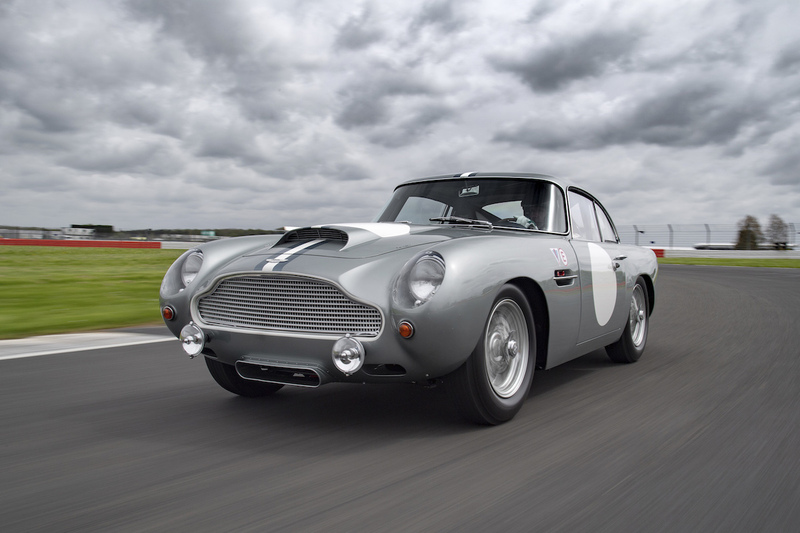 Two years ago, Aston Martin announced that its Works historical division would build 25 continuation cars of the motorsport-focused DB4 GT. For $1.9 million, buyers got a modernized version of the GT, as well as an invitation to a driving program that would help them hone their skills in these vintage race cars. According to a press release posted Monday, Aston Martin held its first track day this past weekend at the Silverstone Circuit in England. 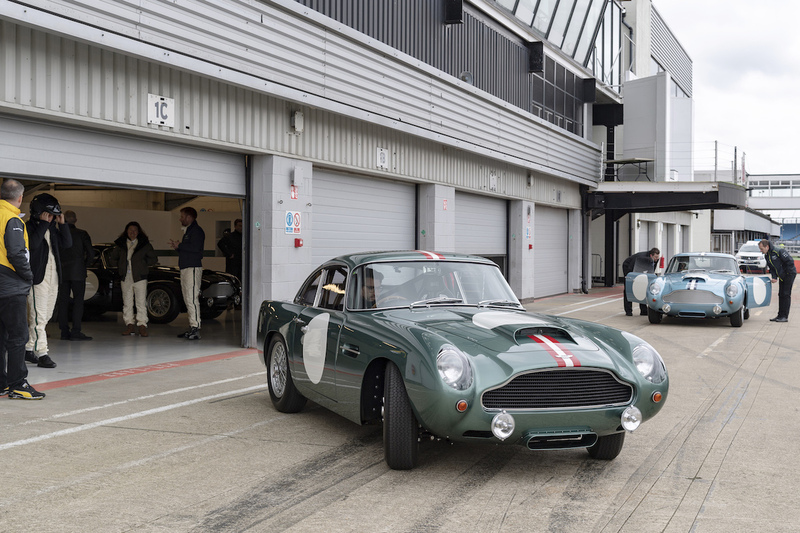 While all 25 DB4 GT Continuation cars have been sold, only a fifth of those cars made it to Silverstone for Sunday's track session. The five drivers received extensive training from a team of Aston Martin instructors, who taught the new owners how to master their vintage, track-only toys. The Silverstone participants also got special guidance from Darren Turner, a class winner at Le Mans three times racing for Aston Martin and a key developer and tester of the Continuation project. Saying that these owners were in good hands while they lapped one of Britain's wildest race tracks would be an understatement. All 25 Continuation cars were built at Aston Martin Works' center in Newport Pagnell, in Buckinghamshire, England. Just like the original lightweight DB4 GTs from the late 1950's and early '60s, these new cars feature a 3.7-liter straight-six making 374 horsepower, connected to a four-speed manual and a limited-slip differential. They aren't street-legal, either. “For over 60 years Aston Martin Works has devoted unrivalled [sic] skill and experience to preserving Aston Martin’s heritage," said Paul Spires, President of Aston Martin Works. "We are proud to have created something for the future, and to see the cars being driven by their owners on what is the most iconic race track in England, Silverstone." 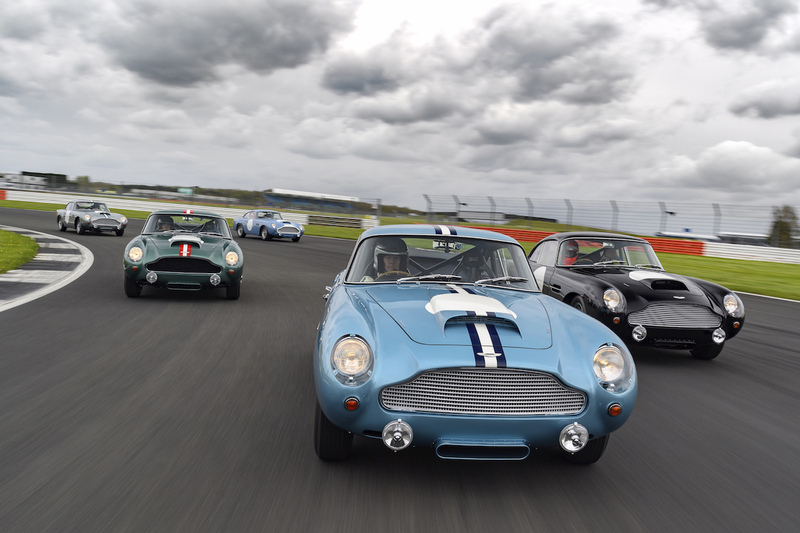 Silverstone is just the first stop on the two-year DB4 GT Continuation driving program's itinerary. The next two locations are at the Rockingham Motor Speedway in Rockingham, England on June 21, followed by Le Mans on July 27. It's now the most expensive British car ever.